What metrics (with respect to the product or service; revenue; team) do companies need to achieve before a VC will consider investing? When should founders start thinking about and developing their Series A strategy? What does the typical timeline look like from seed to Series A? If a VC has invested at the seed stage, does that increase the likelihood of raising a Series A or raising a larger round? VCs meet with a lot of entrepreneurs – How can founders stand out from the crowd? Are investor days worthwhile? What about accelerators? HANK BARRY is chair of Sidley’s Emerging Companies and Venture Capital (ECVC) practice and a founder of the firm’s Palo Alto office. Prior to joining Sidley, Hank was a managing director at Hummer Winblad Venture Partners in San Francisco. From 2000 to 2002, he served as CEO and a Board member of Napster, Inc.
Hank has advised many prominent technology companies as a lawyer, investor and director, including seven companies in which he was involved from formation through IPO. He represents Amazon.com Inc. and other companies in digital media matters, as well as technology startups and venture capital firms. He has testified twice before the U.S. Senate Judiciary Committee with respect to technology and intellectual property policy. Hank is a frequent speaker at industry conferences on topics related to venture capital, emerging companies, cybersecurity, eCommerce, digital media and copyright issues, and he has been a guest lecturer at Stanford’s Program in Law, Science & Technology and the Berkeley Center for Law & Technology. He is consistently recognized as a leading practitioner in his field by various publications including: Who’s Who Legal (2016) in the area of Telecommunications Media & Technology; The Legal 500 US and The Best Lawyers in America, who named him San Jose Lawyer of the Year 2016 for Technology Law, and he is also recognized in the areas of Information Technology and M&A Law. Hank currently serves on the Board of Directors of KQED, Inc., the Milt Olin Foundation and he is a member of the VLAB MIT Enterprise Forum advisory board. 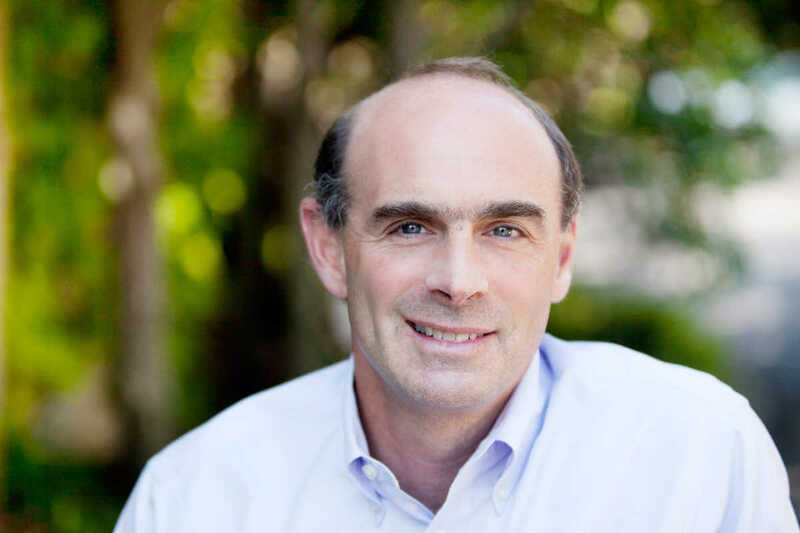 Ted Schlein joined Kleiner Perkins Caufield & Byers in 1996 and focuses on early-stage technology companies in the enterprise software and infrastructure markets, including ventures within the networking and consumer security arenas. Ted has led KPCB’s involvement in a number of successful investments, including Mandiant (acquired by Fire Eye), Chegg (CHGG), IPO, LifeLock (LOCK), IPO; ArcSight (ARST), IPO, sold to HP; Beijing Venustech (002439:Shenzhen),IPO; Corio (CRIO), sold to IBM; Extensity (EXTN), sold to GEAC; Fortify Software, sold to HP; Internet Security Systems (ISSX), sold to IBM; and Oakley Networks, sold to Raytheon. Ted was the founding CEO of Fortify Software, a pioneer in the software security market and now an HP company. He serves on the board of directors of 3VR, Area 1 Security, Alien Vault, Chegg, FullStory, Inspirato, Ionic Security, IronNet Cybersecurity, IronPlanet, Phantom Security, Reputation.com, Shape Security, Synack and Trusona. Additionally, Ted oversees KPCB’s investments in Ayasdi, Carbon Black, Endgame Systems and Segment. Before joining KPCB, Ted served as vice president, Enterprise Solutions at Symantec. One of Symantec’s early employees, he played an instrumental role in the company’s growth and dominance as a global software leader. Ted led Symantec’s successful move into the software utilities market, as well as the launch of its commercial anti-virus solution, an offering that quickly emerged as the industry gold standard. Ted is the former chairman of the National Venture Capital Association (NVCA), a national alliance advocating the role of venture investing in job creation, technology innovation and economic development. He is also the former president of the Western Association of Venture Capitalists and the founder of DoD sponsored DeVenCI program. He currently serves on the board of overseers of the Engineering School at the University of Pennsylvania and sits on the Board of Trustees at InQTel. Ted frequently participates as an opinion leader in public, private and government forums, providing perspectives on security technology, related investments and market adoption trends. Ted holds a B.A. degree in economics from the University of Pennsylvania.